The country's finished steel exports fell by 34 per cent in the fiscal year that ended in March to 6.36 million tonnes, according to preliminary government data given to Reuters on Friday. During the same period, finished steel imports rose 4.7 per cent to 7.84 million tonnes. "The imports for producing value-added steel for the auto sector is mainly by foreign steelmakers like POSCO," the source said, declining to be identified as he was not authorised to speak to the media. India's Ministry of Steel has urged local automakers to cut Japanese and South Korean imports to support domestic producers but the automakers say they cannot get the quality of steel they need locally. 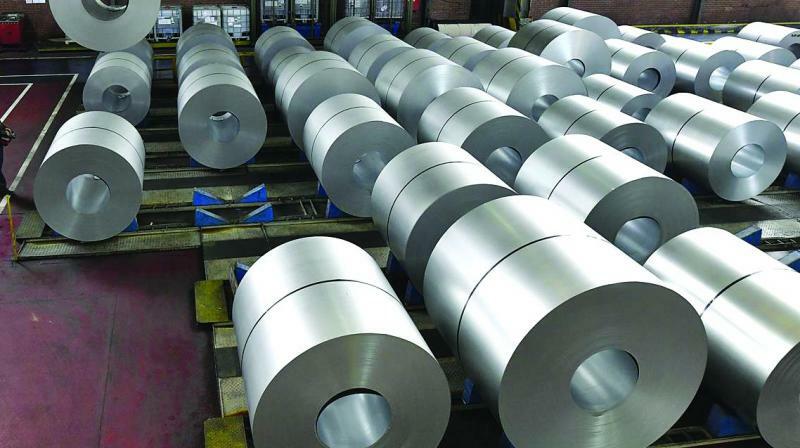 "There is a surge in imports of stainless steel flat products from Indonesia, which used to be less than 1,000 tonnes a month until last year, has now surged to a level of 10,000 to 11,000 tonnes a month during April to March," said K.K. Pahuja, President of the Indian Stainless Steel Development Association, a not for profit body.